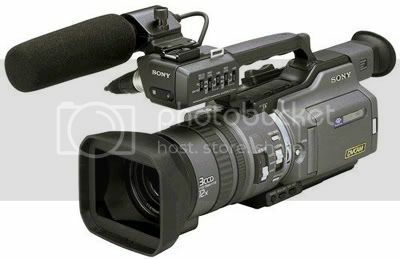 Lately there have been a large number of “what video camera should I buy?” threads, most of these regard the same cameras. The original thread, Buying a Video Camera? Look here first was useful when originally posted, but with the advent of HD, many of the cameras in the old thread have been phased out or replaced with newer cameras. The transition from SD to HD is in progress. This does not mean that Standard Definition cameras are now obsolete; there are still SD cameras on the market that produce amazing footage. CCD- Charge-coupled device. The sensor chip used most commonly in video cameras. Cameras with one CCD use one sensor to measure all colors. 3CCD- Describes cameras that use three CCD sensors. Each CCD separately measures red, green, and blue light. Cameras with 3CCDs will be able to produce superior colors when compared to cameras that use only one CCD. CMOS- Uses the CMOS (Complementary metal–oxide–semiconductor) semiconductor process. CMOS chips do not necessarily have an advantage over a CCD chip, but rather each produces footage with their own unique characteristics. This is a great article on dvxuser.com about the differences in CCD and CMOS footage. HDV- High Definition Video. Uses MPEG 2 format to compress HD footage on to mini DV tapes. 4:3- The standard aspect ratio for older “square” TVs. 16:9- A wide screen aspect ratio, commonly found with new HDTV’s. 16:9 footage can be achieved with a 4:3 ratio through an anamorphic adaptor or letterboxing (cropping the top of the footage). Lux: Unit of measurement for illumination. The lower the Lux rating, the better the camera can handle lowlight filming. i- Interlaced. Footage that uses two horizontal fields scanned separately a 60th of a second apart to create an image. There are some problems created by interlaced footage, due to the separately scanned fields, slow motion footage and video stills can reveal “artefacts” that appear as rows of lines. These lines are the two separate interlaced fields. p- Progressive. Footage that scanned progressively side-to-side top to bottom to create an image. Because progressive footage scans all the horizontal lines in an image at once, it does not suffer from the “artefact” problems that interlaced footage does. 24p- 24 frames progressive. Allows you to obtain more film like footage with video cameras. Has some motion blur, especially when filming in a lower shutter speed i.e. 1/48 shutter speed. 30p- 30 frames progressive. Similar to 24p in film like appearance but due to the higher number of frames per second, less motion blur occurs. 60i- 60 frames Interlaced. Standard frame rate for consumer cameras. 60p- 60 frames per second progressive. Fairly uncommon in consumer/prosumer cameras, 60p allows for smooth slow motion shots through overcranking. Capture Cam- Capture Camera. A cheap camera used to capture and upload footage to your computer after filming. This puts less wear on the cameras heads. This is a list of commonly used cameras. This is not a complete list of video cameras, however these cameras are popular for filming bike riding and skating for a reason. The GS series of video cameras are perfect for the beginner filmer. They don’t offer all the advanced manual controls of higher end cameras making them more affordable, yet still offering the color processing Capability of a 3CCD camera. Small and simple to use, yet can still produce decent colors. One downside to this camera is that does not handle low light filming well. There are several cameras in GS series, here are three of them, the cheapest GS 150, the mid range GS 320, and the best model and the only GS not discontinued, the GS 500. Fairly old now, it’s harder to find but can still hold its own against other newer 3CCD cameras. The camera is fairly large and has a huge 3.5” LCD screen. The TRV has decent manual controls, allowing you to have control over your footage. Due to the age of the camera, be cautious of buying one with a lot of wear in the heads. 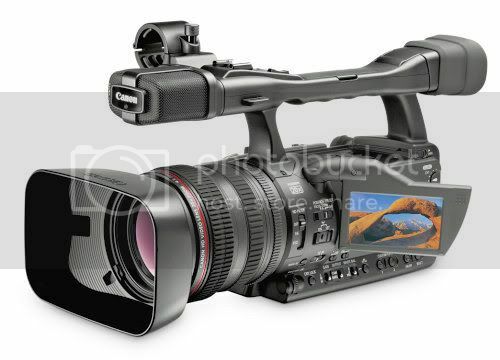 Canons line of CMOS HDV camcorders. Each camera in the line was replaced with a newer model offering more features. The HV10 can only film in the 60i frame rate, while the HV20 offered the option to film in 24p, as well as 60i in either 4:3 or 16:9 aspect ratios. The HV line allows filmers to produce high quality footage on a budget. I have seen HV20 footage that rivals cameras in the $3000-$5000 price range. The newest camera in the line, the HV30 took the already solid HV20 and added the ability to film in 30p. 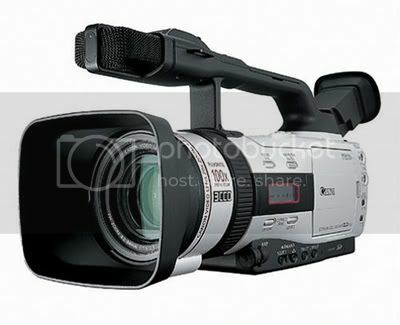 If you are looking into buying an HD camcorder but aren’t ready to spend $3000+ then look into the HV20 and HV30. 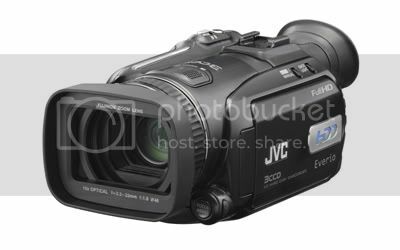 The only HDD camcorder in this list, the HD7 allows you to film both HD and SD footage at 1080i and 420i onto a 60 GB hard drive. The HD7 Also allows you to film in both 4:3 and 16:9 aspect ratios. The HD7 records footage in a less compressed HDV format of 30 Mbps, resulting in higher image quality. However like many HD cameras, the HD7 is fairly light demanding, meaning it does not perform to well in low light situations. - HDV 30 mbps mpeg 2 compression. 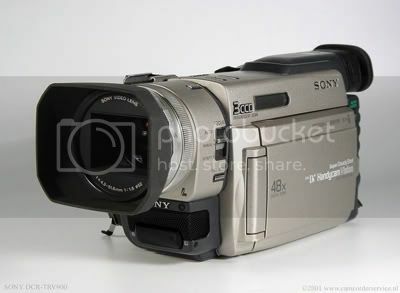 Sony DCR-VX1000. (Discontinued) Used $600-$1000. Almost an antique now, this camera can still produce amazing colors rivalling newer cameras on the market today. 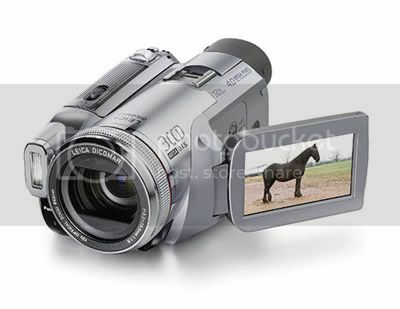 Due to the age of the camera, the VX1000 is very prone to breaking and malfunctions. This camera has no LCD screen so all filming must be done through the viewfinder. Considering the age of the camera it is still common amongst skateboarders and are not hard to find used. 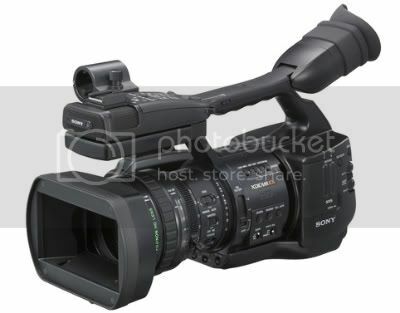 If you are filming with this camera, USE A CAPTURE CAM, do not wear the VX1000s heads down anymore then possible. The VX2000/2100 is similar to the VX1000 but newer and improved. The VX2000/2100 are far more reliable then the older member of the VX family. 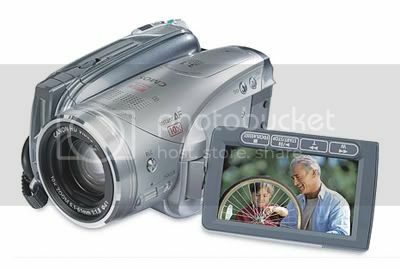 The most noticeable improvement is the LCD screen the VX1000 lacks. Both cameras produce excellent colors and the on cam mic produces fair quality audio. The VX2100 produces some of the best footage in lowlight conditions when compared to other sub $10,000 cameras. The professional version of the VX2000/VX2100. VX2000-PD150, VX2100-pd170. The most apparent difference is the ability to use professional audio equipment with the 2 XLR ports. There are several other minor features such as the ability to check the amount of time on the cameras heads, which you can’t do on the VX2000/2100. The GL2 is the professional 3CCD camera in canon’s SD line. The GL2 is a large improvement over the previous GL1. The GL2 has smaller CCDs then most other cameras in this price range, but to make up for the CCD size the camera uses pixel shifting to increase resolution. The 1/4” CCD size also affects the GL2s ability to film in low light conditions, as smaller CCDs require more light to produce higher quality footage. 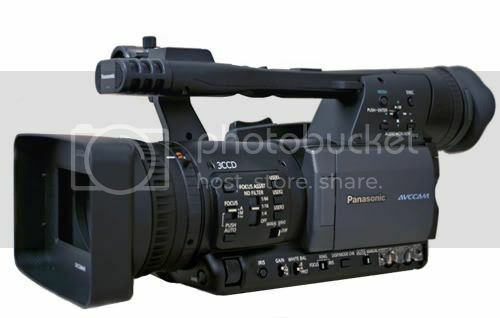 Panasonic AG-DVX 100 a/b New: $2600.00 Used: $1800-$2200. The DVX, hands down the best sub $10,000 3CCD SD camera. Even with HD becoming more common and popular, people still choose to buy DVX’s. Amazing colors, great low light capability, and the ability to film in 24p and 30p, as well as amazing creative controls. It’s the independent filmmakers dream. The DVX has two XLR ports allowing for professional audio equipment. If you’re going to buy a new SD 3CCD camera and you have the money, buy a DVX. 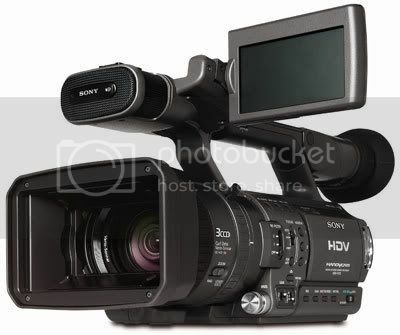 Sony’s first Professional HDV camera, it allows you to film 1080i footage in 16:9. With the FX1 you have the option to film in either HDV or SD mini DV. One downside to this camera is that it does not have the features that other HD cameras have in its price range. 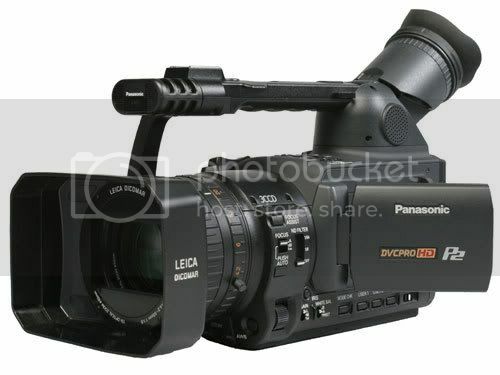 It does not have XLR ports, or the ability to film in variable frame rates. However to make up for the lack of 24p, the FX1 has Cineframe which mimics the appearance of 24p footage. 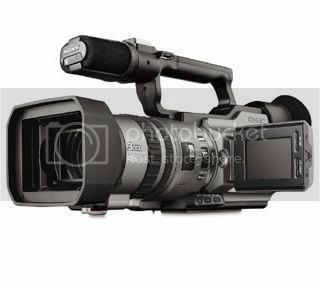 Sony’s “prosumer” HDV camera. Unlike the FX1, the FX7 uses 3CMOS chips to analyse colors. The FX7 is also smaller and lighter then the FX1, yet still offers comparable features. The FX7 can film 16:9 footage in either HDV or SD mini DV. Because of the cameras prosumer status, it lacks XLR ports. The XH A1 has been described as having the most extensive custom preset options in any sub $10,000 camera. The XH A1 uses the proprietary DIGIC DV II image processor, which allows the ability to film footage in HDV 1080i 16:9, as well as 16:9 SD and 4:3 SD footage. The XH A1 has the option to film in 60i, 30f, and 24f (24f and 30f are essentially the same as 24p and 30p). The XH A1 has an excellent on camera mic, but also offers 2 XLR ports and a shotgun mic bracket. The XH A1 is a great option to film in HD if you want a large amount of creative control but don’t want to spend $5000+ on an HVX. One of the new cameras from Panasonic. 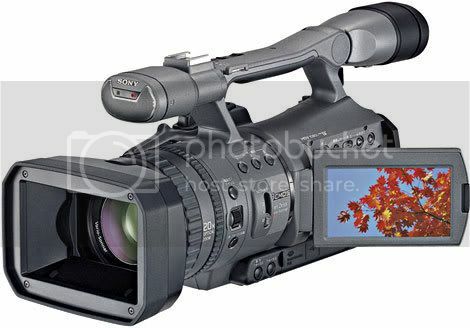 This is said to be the HD brother of the DVX. Tapeless like the HVX and HPX, but uses AVCH to record onto the less expensive solid state format of SDHC cards. The colors this camera can produce rival it’s SD brother the DVX. The camera uses new CCD sensors that record in a slightly lower resolution, then pixel shift up. Because of this the cameras lowlight footage is crisp and clean without the usual grainy noise problems with a lot of HD cameras. One downside to this camera is that it has only one SDHC slot. This means that there is no hot-swappable option, so once the card is full, you must stop recording, and replace the card. This is not a huge issue though, as SDHC cards larger then 8 GB allow you to record for longer then you could to a mini DV tape with a regular camera. The cameras stock lens is wide, making it easier to film rolling lines and in compact spaces without the need for a wide-angle lens. This camera produces stunning footage that easily rivals any other camera in the sub $10,000 range. The HVX and HPX are the handheld P2 cameras in Panasonic’s line. The HVX200a and HPX share the same CCD sensor block as the HMC-150, which again shares the same low light filming capability. The HVX and HPX can produce footage nothing short of astounding. They can film 1080i, 1080p, and 720p (as well as 480i with the HVX) at multiple frame rates. The cameras use PCMCIA format P2 cards, in the DVCproHD codec, which allows for a simple editing workflow. 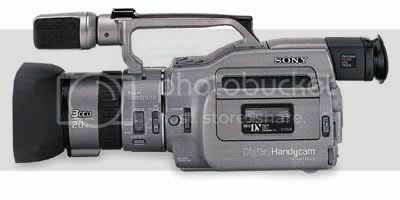 The HVX can also record to mini DV tapes in 480i for SD footage only. Like the DVX, the HVX and HPX produces amazing colors and allows great creative control over your footage. The biggest downside to the two cameras is the price. To buy the either camera you’re looking at $5400, then add another $600-$1000 for each P2 card. Sony’s answer to the popularity of the P2 card cameras. The EX1 uses SXS cards and records in the XDCAM EX codec. The camera can produce an amazing image with vivid colors in both regular and low light conditions. The camera uses 3 1/ 2” CMOS Exmor sensors, which are larger then many other cameras in it’s class. Because of the size of the sensors, more light can be processed meaning even in low light the cameras images are almost noise free and colors are vivid. Because of the quality of the cameras image compared to size, it makes it perfect for run and gun filming situations, even for those that once used larger shoulder mounted ENG cameras. The downside to this camera would be the price. New it ranges from $6100- $7200 without the cost of the SXS cards which are in the $1000+ range per card. Regardless of the price, the image this camera can produce is outstanding. 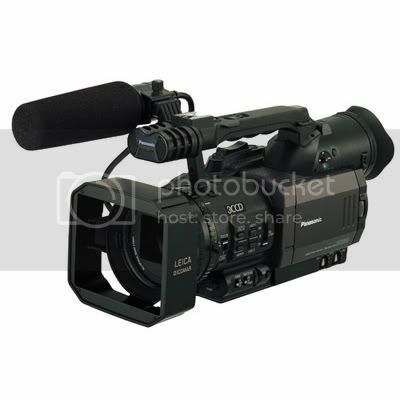 Hopefully this information is helpful to those looking into buying a new video camera. Thanks again to foreverbmx, nocoast, dig, ihateBCS, Yeah BMX, and Craig Jewel for contributing sample footage. Edit: Updated! New cameras, sample footage and info added. There will be some more sample footage posted next week. Updated this, added a couple cameras and more sample footage. Nice! I'll put that in the examples. Love the Sony HDR-FX1, still sving up fpr one. Any opinions on the sony hdr-cx7 6.1 megapixels? Strictly for filming while riding. Can everyone please stop saying swag.